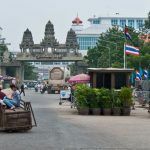 The Thai military junta that seized power from the democratically elected government in 2014 has been unswerving in its crackdown on illegal gambling, which, in Thailand, is all gambling. But while that might mean actually betting on something to you and me, the Thai definition of “gambling” apparently extends to owning anything that could ever potentially be used to gamble, whether it is being for used for it or not at the time of apprehension. And that’s how the latest unlikely demographic to feel the brunt of the junta’s authoritarian zeal was a group of retired bridge players. 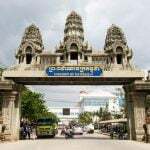 Following a “tip off,” 50 police and military officers stormed a bridge club in the beach resort of Pattaya, 100 miles north of Bankok, on February 3rd, arresting all 32 players, a group of mainly septuagenarian European ex-pats. In the absence of anything really juicy going on, the players were charged with “possessing too many playing cards,” on the basis of a 1935 Thai law that forbids any one person from carrying over 120 playing cards. Another charge apparently related to some of the decks of cards not having the official government seal of approval on them. Nevertheless, 26 people were detained overnight, including an 84-year-old Dutch woman and the alleged ringleader of the group, 74-year-old Jeremy Watson, before the president of the Thai bridge league, Chodchoy Sophonpanich, was able to intercede to secure their release. It’s always about connections in these high-profile cases, isn’t it? 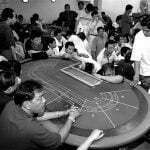 Chodchoy, who is a member of Thailand’s most prominent banking family, emphasized that bridge can be played without government permission under an amendment to the Gambling Law of 1960, provided that money does not change hands. She also reminded authorities that bridge will be one of the competitions in the 2017 Southeast Asian Games in Malaysia and the 2018 Asian Games in Indonesia. But the law was not to be so easily deterred from justice, as Police Colonel Suthat Poompanmuang, chief of Pattaya police, begged to differ. Don’t mess with Officer Poompanmuang is what we take away from this. 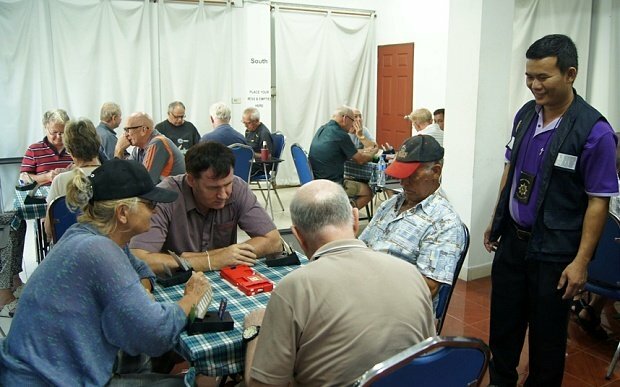 Suthat said that while the senior citizens are unlikely to be charged with illegal gambling, they will probably be charged with “organizing card-playing without permission,” although he admitted the Pattaya PD (who apparently have a lot of time on their hands) was still “mulling” it. All 32 posted bail, which was set at 5,000 baht ($140) each, added Suthat.